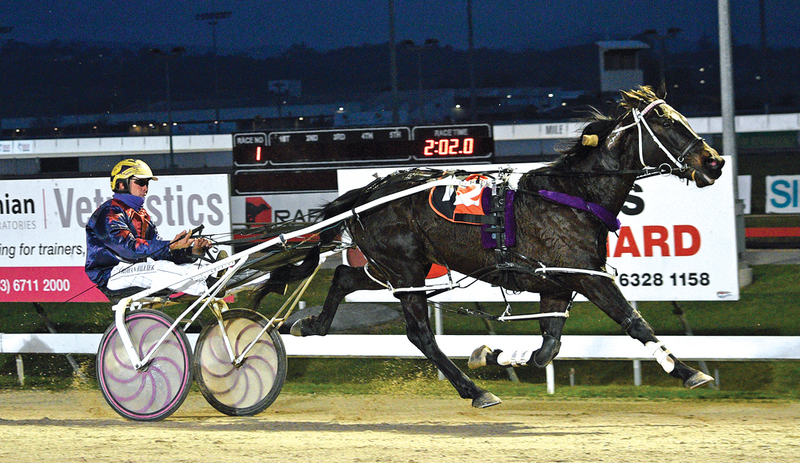 CLASSY Tasmanian Im Compliant is expected to have little trouble returning to the winners’ circle in Launceston tonight. Successful at his first six starts after arriving from New Zealand, Im Compliant finished fourth as a short-priced favourite during his latest outing on August 24. Found to be suffering from a “bit of a bug”, the son of Live Or Die was given a short let-up by trainer Rohan Hillier. Pleased with the gelding’s progress during the past few weeks Hillier is confident Im Compliant can bounce back to the number one stall despite his second row draw. “He didn’t go as I would have liked last time around and it turns out he had bit of a bug,” Hillier explained. “That’s been treated and I expect him to be back to his best. “His work has been great and he seems good within himself so hopefully it is all behind him. “The draw hasn’t helped though as he follows out a slow beginner. Predicting the six-year-old will complete the transition into open company Hillier has set his sights on the state’s various features during summer. “At this stage he will just keep punching through the classes,” Hillier said. “I will try him in the free-for-alls and go from there. “There is a lot to like about him and I can’t see the rise in class being a problem.